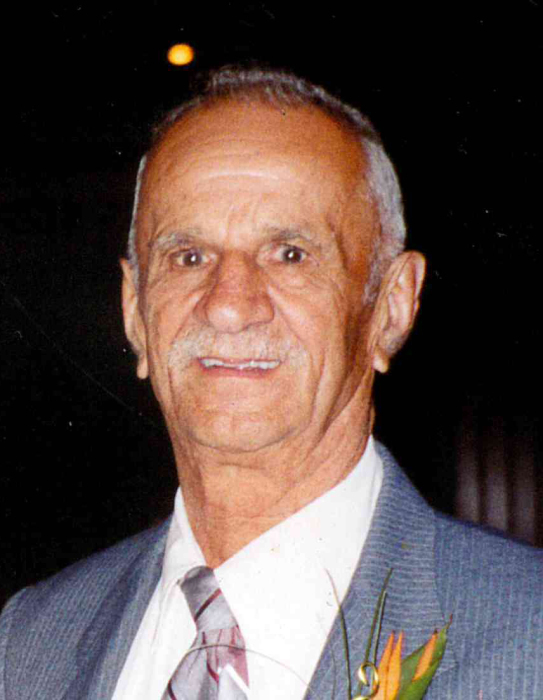 OTTAWA – Michael Nanouski, Jr., age 91, of Ottawa, passed away Monday, October 29, 2018 at LaSalle County Nursing Home. Funeral services will be held at noon Saturday, November 3, 2018, at Gladfelter-Roetker Funeral Home with Reverend David Kipfer officiating. Burial with full military rites accorded by the American Legion Veterans Group Post 33 Ottawa Honor Guard will follow at Ottawa Avenue Cemetery. Visitation will be held from 10:00 a.m. till noon Saturday at the funeral home. Pallbearers will be Andrew, Adam, and James Nanouski, Kyle Colborn, and Mike and Greg Jett. Honorary pallbearers will be Lloyd Ludwig and Tom Thompson. Michael was born March 7, 1927 in Ottawa, the son of Michael and Katherine (Yelechko) Nanouski. He married Patricia Berkley, who preceded him in death. He later married June Kostman. She also preceded him in death. Michael is survived by his children, James (Sheila) Nanouski and Michael (Karen) Nanouski, all of Ottawa and Nancy (Tom) Colborn of Freeport, IL, as well as the children of June Kostman, Kathy, Vicki, Michelle, David, and Jeff (deceased); and 57 grandchildren and great grandchildren. He was preceded in death by his daughter, Linda Jett; three brothers and six sisters. Michael was a member of St. Mary’s Church of Naplate. He served his country proudly in the United States Navy during World War II. He worked at Libbey-Owens Ford his entire life, where he belonged to Glassworker Local 19. Michael was a lifelong member of American Legion Post 33, where he loved playing Bingo. His pastimes included fixing power equipment and playing euchre in Sunday tournaments. Michael was devoted to his family and cherished each and every moment spent with them.